Choose 1 or more colors here. These beaded dangle earrings have a rounded center with 6 beaded dangles and silverplated beads. They measure approximately 5 1/2" long including silver plated french wire. 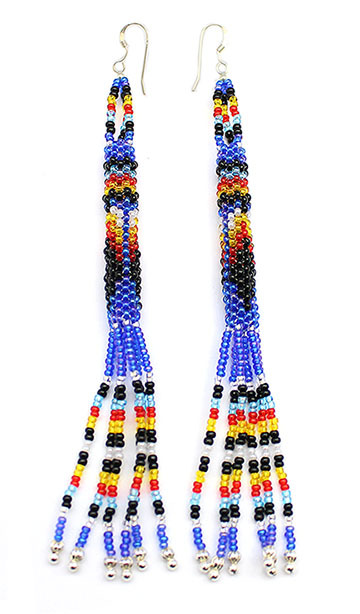 Handcrafted by Zuni artisan David Ukestine. 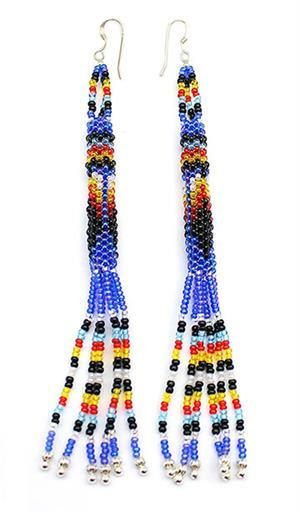 Available in different shades of blue, red, purple or black with yellow as the primary color. Choose color(s) when ordering.